There are many great benefits to getting dental implants to replace missing teeth. Experts often recommend them due to the fact that they not only halt the negative effects of tooth loss, such as diminishing jaw bone and altered facial structure, but reverse them, as well. Another benefit is that they can be utilized in a number of different situations. 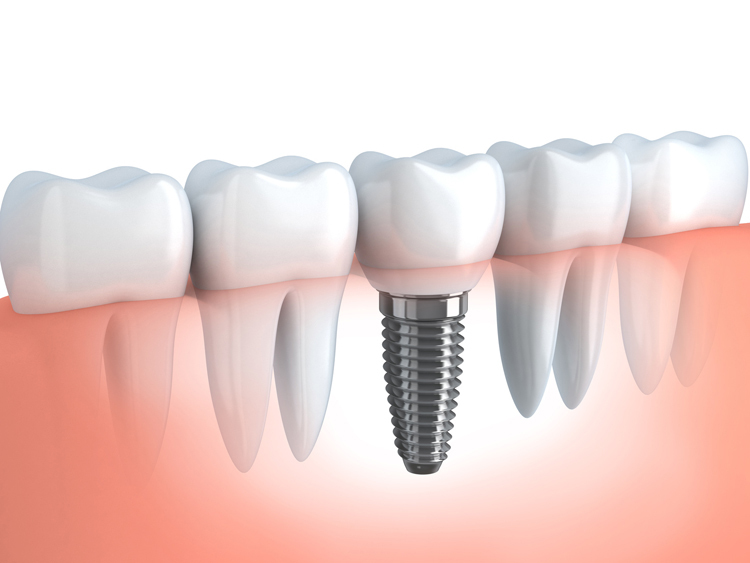 Dental implants are most commonly used to replace one missing tooth. A titanium post will be inserted into the jaw bone, where it is left to fuse to the hard tissue and heal over the course of a few months. The dental implant is covered with a temporary crown during this time. After this process is completed, it can be capped with an abutment and permanent crown. When more than one tooth is missing, implants act not only as tooth replacements, but as support for pontics. For example, if four teeth in a row are missing, implants will be placed in the spots at the two ends. They will also support two pontics, or artificial teeth, in the middle. This method is similar to a dental bridge, but with the added benefits that come from dental implants. This process is completed over multiple visits. Many experts use the “All On Four” method in these cases. This is when four implants are placed in the four “corners” of the mouth, or the bottom front right and left, and the top front right and left. These implants will be attached and provide support to artificial teeth.